Waxy luster describes the luster observed on Jadeite and Nephrite. 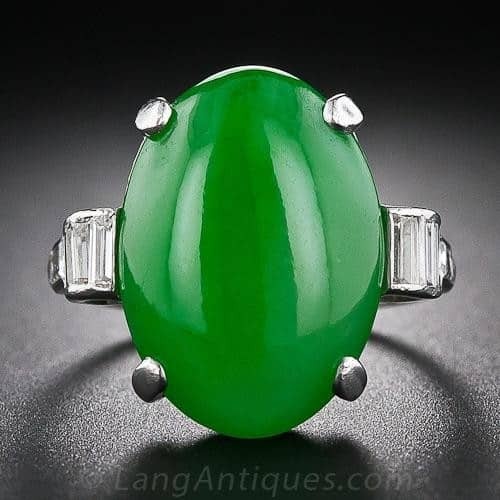 Art Deco Jade and Diamond Platinum Ring. 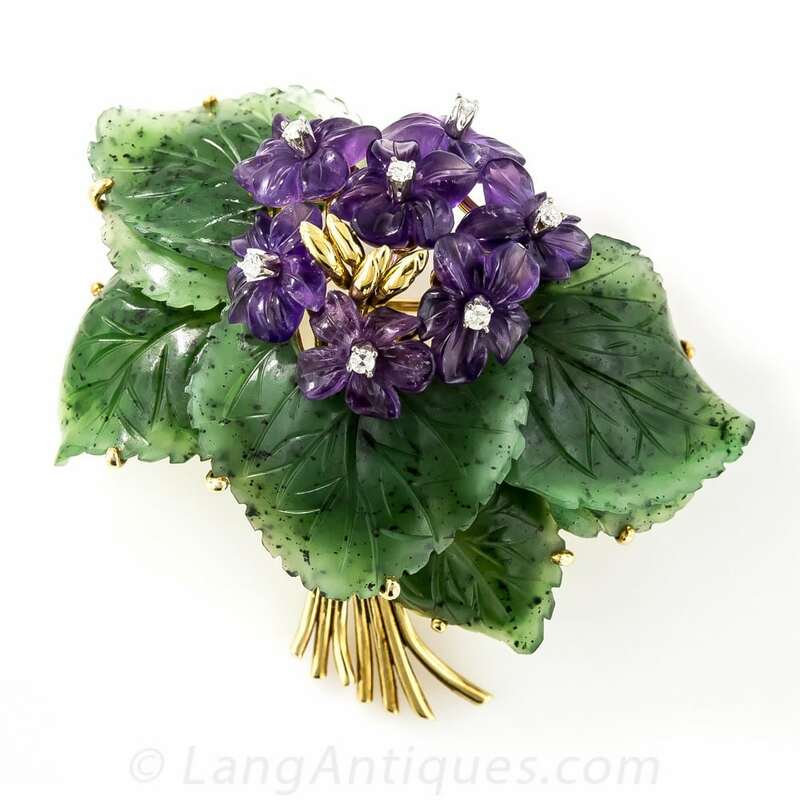 Carved Nephrite and Amethyst Floral Brooch.